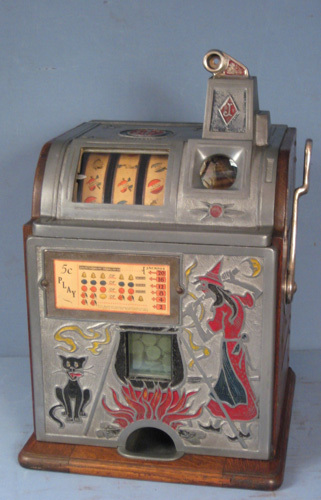 CoinOpCollectorForum.com • View topic - Mills 10 cent jackpot. This is the spot to list any parts that you are looking for. I need a Mills 10 cent jackpot. Also looking for 10 cent jackpot for parts. I have a partial jackpot but I need complete jackpot or one that I can salvage parts off of. Re: Mills 10 cent jackpot.